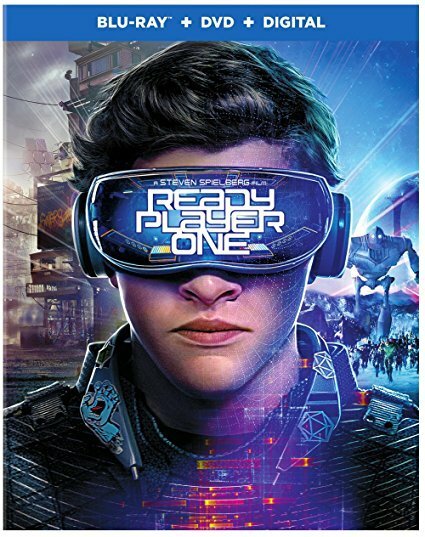 In the mid-21st century, teenager Wade Watts (Tye Sheridan) was just another denizen of a blighted Earth who sought escape from the world via the immersive virtual reality realm called OASIS. Upon the death of OASIS' developer (Mark Rylance), it's revealed that he bequeathed the program-and his fortune-to whoever could find the Easter Egg hidden within... and Wade jumps into the frenzied scramble of gamers for the prize. Steven Spielberg's colorful, reference-packed fantasy co-stars Olivia Cooke, Ben Mendelsohn, Simon Pegg. 140 min. Widescreen; Soundtrack: English. Two-disc set.